The Motorola HDDSR 600 combines a full-featured, MPEG-4 capable digital satellite receiver with an advanced HDTV decoder to deliver dazzling high-definition programming and an easy-to-use interactive menu. Additional Features Future ready for Ethernet based services such as Set-top VOD as well as 1080p broadcasts. Additional Information 4 day guide outlook, advanced search abilities, parental controls. 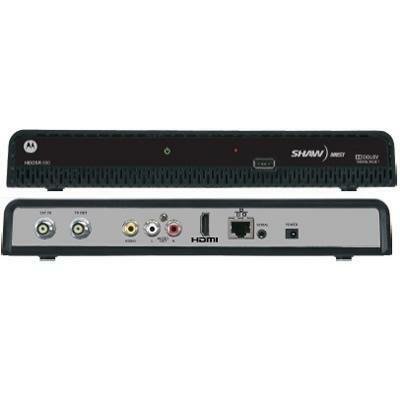 With Shaw Direct's advanced HDPVR you can record up to 175 hours of programming, customize your recordings any way you want and enjoy tons of great features.